You'll be £10.00 closer to your next £10.00 credit when you purchase Southern Steam: January – July 1967. What's this? Using information gathered from many sources, “Southern Steam: January – July 1967” chronicles the events of 1967, with the final five weeks in detail, including events that formed the background to the time. 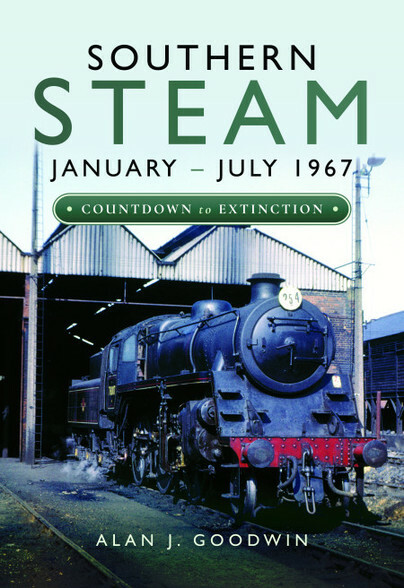 A remarkable and well researched book which should be on the shelves of all with an interest in Southern Steam in its final twenty-seven weeks in 1967. Sad story of the demise of the steam railways in the south of Britain. Alan's account of how steam engines were withdrawn from service reads like a series of very sad obituaries. Very moving. Alan Goodwin is a retired railwayman living in East Sussex. He is a lifelong railway enthusiast, admits to using a Duffle bag in his train spotting days and still has a penchant for cheese and pickle sandwiches. He has never liked Tizer.